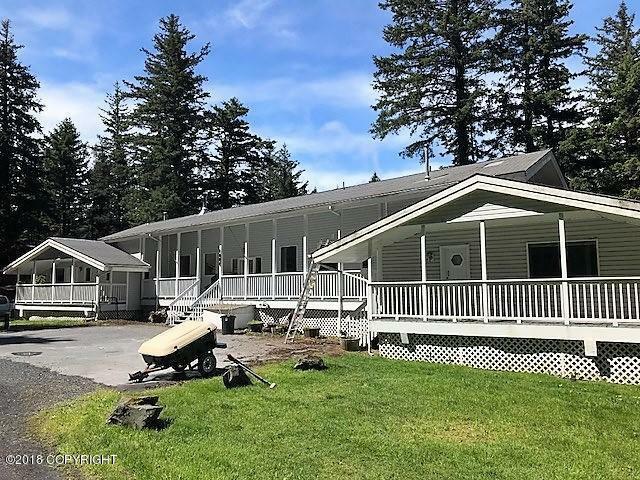 1855 Three Sisters Way, Kodiak, AK.| MLS# 18-10303 | RE/MAX of Kodiak - Alaska Real Estate - "Honesty & Integrity...It's That Simple!" Reminiscent of a midwest farm house, this lovely home boasts a wide front porch that is just waiting for your rocking chairs. New flooring, granite & travertine tile counter tops, new large tile master shower, open floor plan & on demand water heater are some of the desirable features. New Toyo heater 2018; New septic 2011 and new well in 2017. Take a look and don't delay! Call your REALTOR today! Extra Room: Office, Reading Room, Etc.